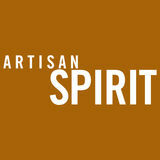 Distillery Products is your “Go To” source for wholesale premium branded distillery merchandise for your Distillery. Specializing in custom branding and engraving on Glassware, Premium Flasks, Cocktail Tools and Insulated Tumblers and more… Our Marketing Team will work with you to create your custom merchandise line to elevate your brand and capture your market identity. Our goal at Distillery Products is simple, have your target market think of you, your company and your brand first! 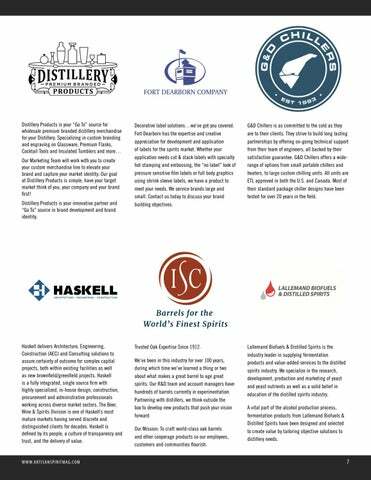 Distillery Products is your innovative partner and “Go To” source in brand development and brand identity. Decorative label solutions…we’ve got you covered. Fort Dearborn has the expertise and creative appreciation for development and application of labels for the spirits market. Whether your application needs cut & stack labels with specialty hot stamping and embossing, the “no label” look of pressure sensitive film labels or full body graphics using shrink sleeve labels, we have a product to meet your needs. We service brands large and small. Contact us today to discuss your brand building objectives. G&D Chillers is as committed to the cold as they are to their clients. They strive to build long lasting partnerships by offering on-going technical support from their team of engineers, all backed by their satisfaction guarantee. G&D Chillers offers a widerange of options from small portable chillers and heaters, to large custom chilling units. All units are ETL approved in both the U.S. and Canada. Most of their standard package chiller designs have been tested for over 20 years in the field. Lallemand Biofuels & Distilled Spirits is the industry leader in supplying fermentation products and value-added services to the distilled spirits industry. We specialize in the research, development, production and marketing of yeast and yeast nutrients as well as a solid belief in education of the distilled spirits industry. We’ve been in this industry for over 100 years, during which time we’ve learned a thing or two about what makes a great barrel to age great spirits. Our R&D team and account managers have hundreds of barrels currently in experimentation. Partnering with distillers, we think outside the box to develop new products that push your vision forward Our Mission: To craft world-class oak barrels and other cooperage products so our employees, customers and communities flourish. A vital part of the alcohol production process, fermentation products from Lallemand Biofuels & Distilled Spirits have been designed and selected to create value by tailoring objective solutions to distillery needs.